We are delighted to be able to share the latest episode in the success story of i-Drills Soccer, the class-leading soccer coaching app. As if topping the sports download charts in a number of countries, and being praised by many top football coaches wasn’t enough, i-Drills Soccer is now to be adopted as the official FA Coach’s App and will now become the recommended app for FA football coaches in England and across the world. Dave Carolan managing director of i-Drills Apps has had a great vision for the app since the first day we met him and we’re delighted his hard work has received such an accolade, to support the work of the world’s most recognisable National Governing Body in sport in enhancing and developing coaching of the world’s most popular game. 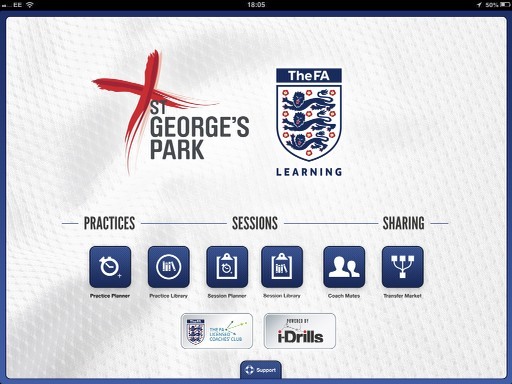 The FA Coach’s App will be launched on the new i-Drills Engine with a host of new features which we’re sure coaches will find useful. The team at Createanet have worked extremely hard to deliver the app to the standard set down. All the team at Createanet would like to wish The FA Coach’s App every success and look forward to continually working with Dave & i-Drills in the future.